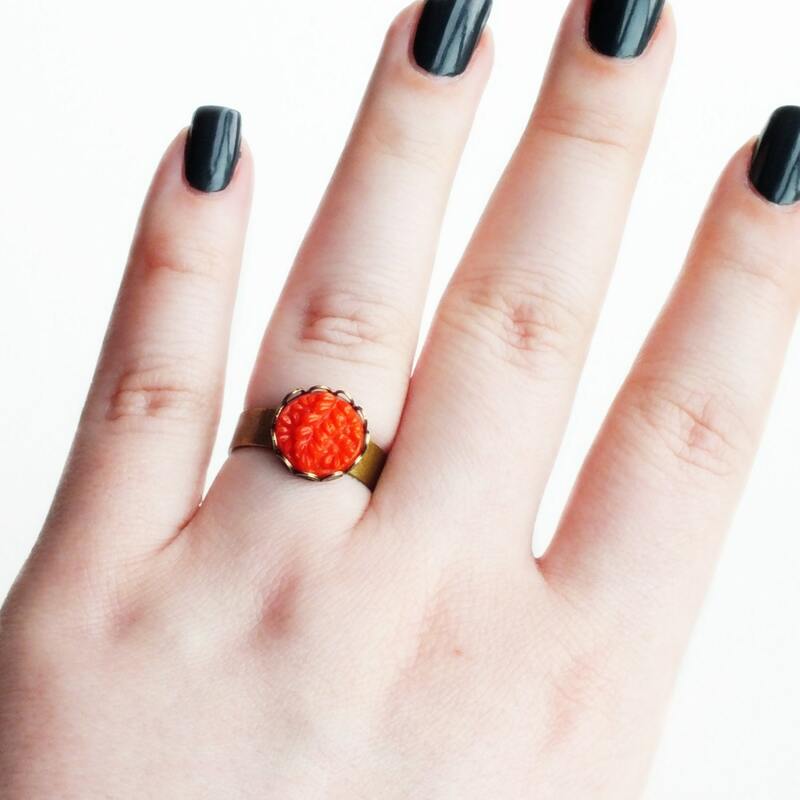 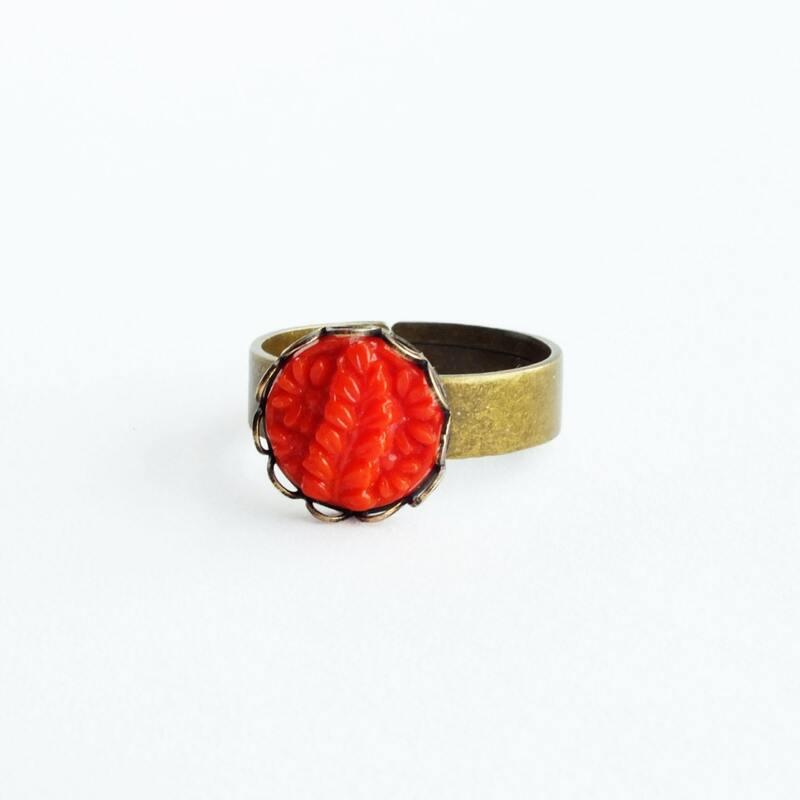 Small handmade bright red ring with vintage carved floral glass cabochon. 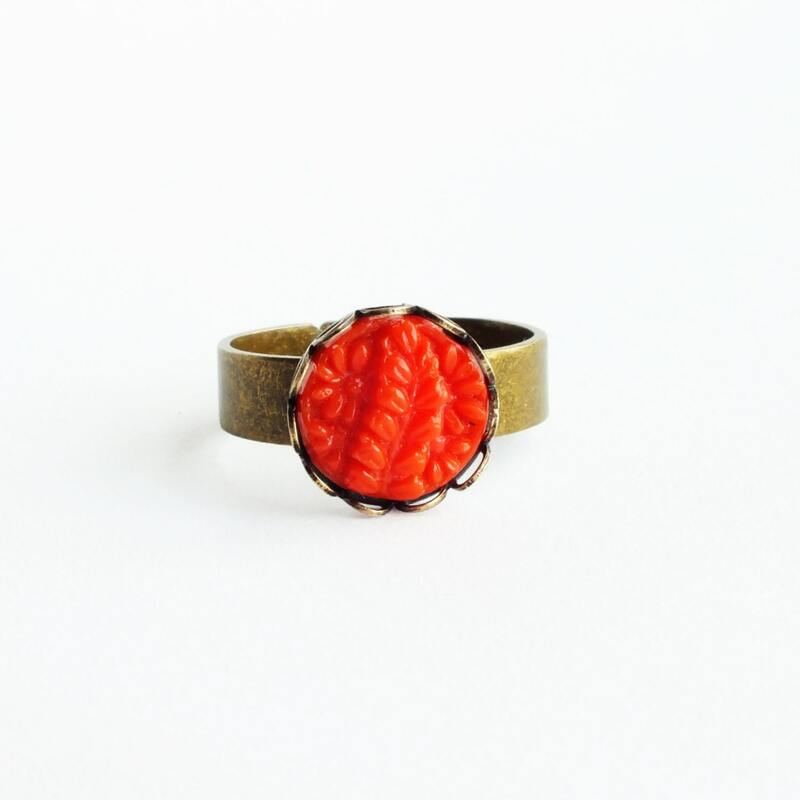 Eco-friendly genuine vintage glass cabochon. 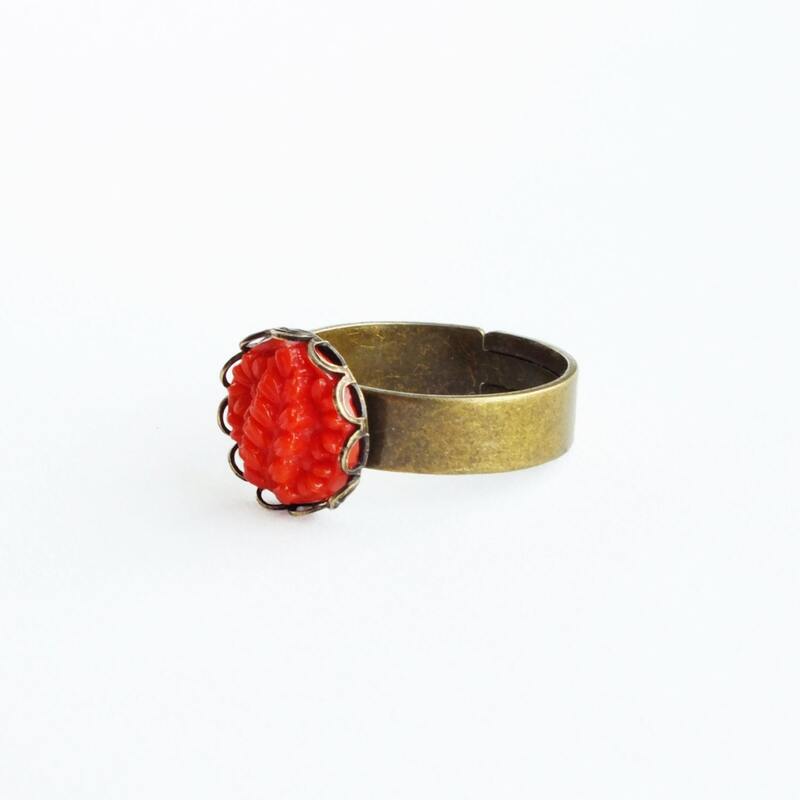 Hand-adjustable band from size 7 min. 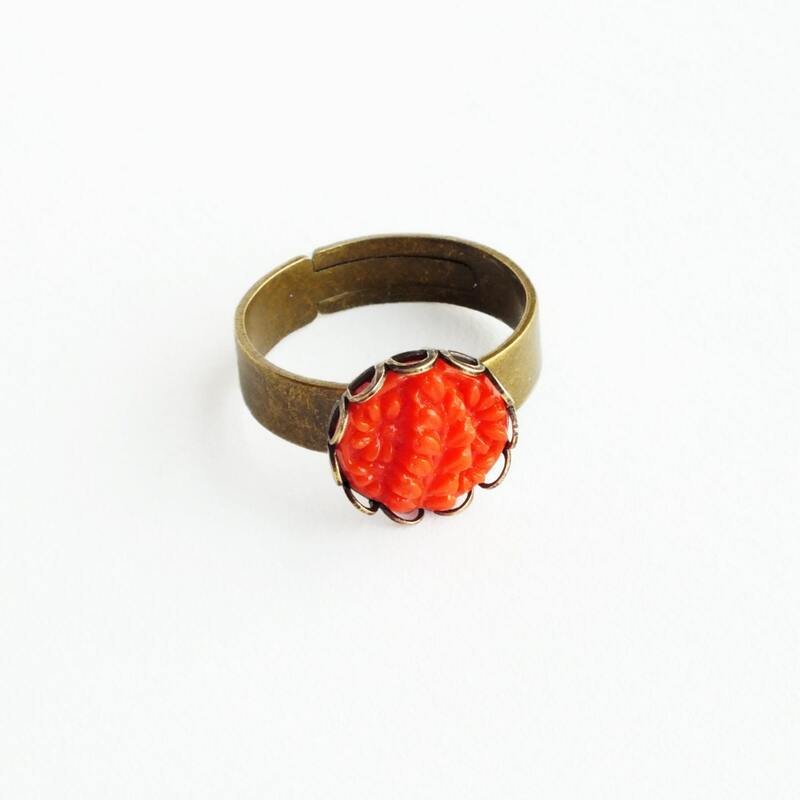 I set it in antique brass lace-edged frame secured to a super comfortable sturdy antique brass ring band.